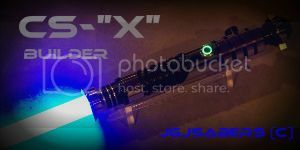 Since Photobucket's third-party hosting is broken, several of the tutorials on The Custom Saber Shop's Forums are now next to useless, as the photos present you with a giant "Upgrade your account" icon instead of the photos. I thought I'd help out the community by copying the images to an Imgur Album with the text from the TCSS forums, since the original posts aren't much use at the moment. Yea, but will Imgur ever do the same thing? Probably, as nothing is ever guaranteed. But it's a good alternative for now. I was not aware there was a way to get the pictures.. We tried contacting the original people who posted them with no luck.. If you can get me the pictures I will host them on our server so they can never go away again. I still have the images for the HFX 2010 Anakin rots for the tutorial I posted. The images may still be working for now, but they will not after march. I will re-upload in them to imageshack account when I can find the time. Last edited by Jay-gon Jinn; 01-29-2018 at 11:18 AM. I had to use a Chrome plugin that bypasses something with Photobucket's hosting, and it allowed me to save the photos locally. I'll throw them up in DropBox and get you the links. You computer hackers. Electronics guys.....crazy bunch you all are! It'd be good to get those threads repaired, because they're asking a gazillion questions a second in that forum. I was gonna suggest that, or offer my server for the same purpose. Got those 3 fixed... looks like vader is missing a few as well.